"Our previous study was one of the first to show that V2a interneurons contribute to plasticity, or the ability of the spinal cord to achieve some level of self-repair. This study capitalized on those findings by demonstrating that we can grow these cells from stem cells, that they survive in an injured spinal cord, and that they can actually improve recovery," said Michael Lane, Ph.D., an assistant professor of neurobiology and anatomy in the College of Medicine and the study's principal investigator. Though spinal cord injury impacts a wide range of motor systems, recent evidence suggests the body is capable of spontaneous improvements, through growth of nerve fibers and the formation of new circuits. Lane's laboratory is interested in studying—and strengthening—this natural phenomenon, in order to treat a potentially fatal side effect of paralysis: poor respiratory health. Not only do patients with high-level injuries require mechanical assistance to breathe, but they are also prone to lung congestion and respiratory infections. 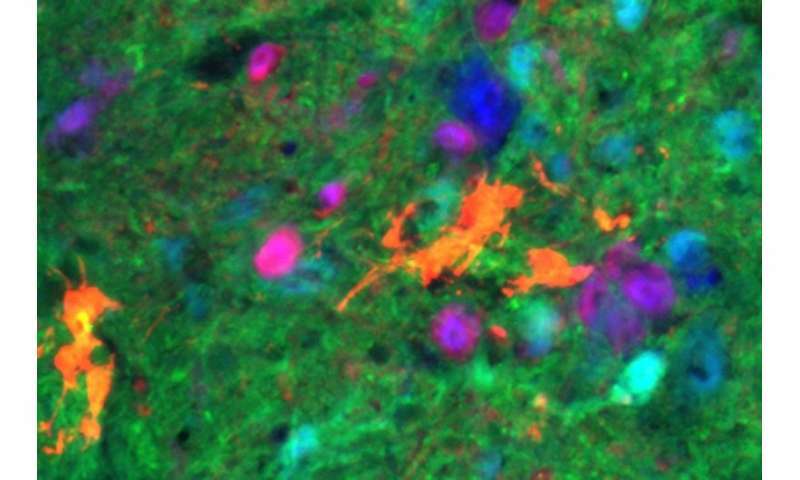 For the past decade, there has been a growing interest in using neural precursors—cells that can develop into the various types found in the brain—to augment plasticity and treat spinal cord injury. Neural cells work with all the other cell types of the body to produce the range of functions of the central nervous system, including circulation, respiration and digestion. To test their hypothesis, the Drexel team collaborated with Shelly Sakiyama-Elbert, Ph.D., a cellular engineer at the University of Texas, to differentiate embryonic stem cells into V2a interneurons and combine them with neural progenitor cells from a rodent spinal cord. Once combined, the V2a cells were transplanted into 30 animals with high cervical moderate-severe injuries. "For now, we've focused on one cell, and one time-point after injury, so there is more work still to be done," Lane said. "But it is a big advance—we have at least one cell that contributes to recovery and one day, that may lead to better treatments."